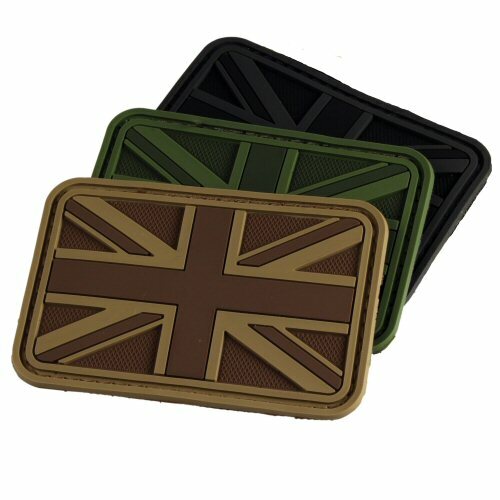 The Hazard 4 polymer UK flag patch measures 74x49x3mm and comes with hooked Velcro on the rear for attaching to clothing, bags and packs. Polymer material is durable and easy to wipe clean. Available in Coyote subdued (CB), Olive subdued (OD) and Black subdued. Please note that price is for ONE patch only. Available options are: Black , CB (Coyote Brown), OD (Olive Drab).